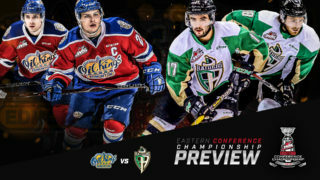 RAIDER REVIEW: The Prince Albert Raiders (32-27-9-4) open the 2018 WHL Pre-season tonight at the Art Hauser Centre against the Saskatoon Blades (35-33-3-1) in the Young Guns Game. The Raiders finished fourth in the competitive East Division last season – three points ahead of their Highway 11 rivals. 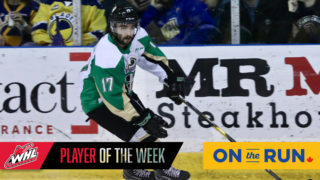 INTRA-SQUAD RESULTS: On Tuesday night, Ozzy Wiesblatt had a pair of points in the third period to lead Team Green to a 5-1 win over Team White in the annual Intra-Squad Game at the Art Hauser Centre. Wiesblatt was the only player in the contest to record multiple points. Kaiden Guhle, Mathew Lehman, Tyson Laventure, and Logan Linklater also found the back of the net for Team Green. Mackenzie Belinski picked up the lone goal for Team White. WEARING A LETTER: The Raiders announced their leadership group for the 2018-19 season prior to the start of training camp last week. 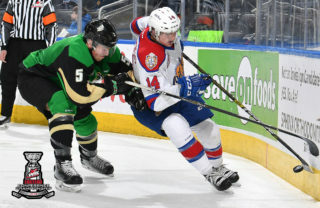 1999-born defenceman Brayden Pachal was named the 42nd captain in Raider history. Zack Hayes, Parker Kelly, and Sean Montgomery will serve as the team’s alternate captains for the year. 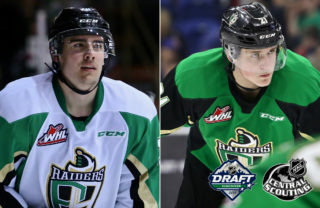 GETTING FAMILIAR: The Raiders and Blades will be seeing a lot of each other early in the year. 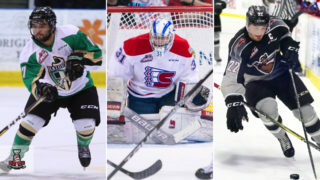 Four of the Raiders’ five pre-season games will be played against Saskatoon this pre-season. Then, the two teams take to the ice for the first time in the regular season on Sunday, September 30. That’s five games in 31 days! HOME OPENER: The Raiders open the 2018-19 WHL Regular Season on Friday, September 21 against the Regina Pats at the Art Hauser Centre. Puck drop is at 7 p.m. Single-game tickets and flex packs are now on sale at the box office or the Raider Office Monday to Friday from 9 a.m. to 5 p.m. 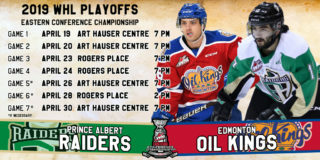 HARVEST HAT TRICK: Hockey is back and the Raiders want to re-create the playoff atmosphere in the Art Hauser Centre for our three September regular season home games. So, we’re partnering with Farm World to office a flex pack called the Harvest Hat Trick. For $50, you receive three flex tickets that can be exchanged at the box office to attend any combination of our first three home games. Anyone who purchases a Harvest Hat Trick flex pack and uses all three flex tickets will be entered to win a new pressure washer, courtesy of Farm World. NEXT UP: The Raiders open a home-and-home series against the Saskatoon Blades on Thursday, September 6 at the Art Hauser Centre. Puck drop is 7 p.m. On the following Saturday, the Raiders and the Blades square off in their annual game in Warman at the Legends Centre.